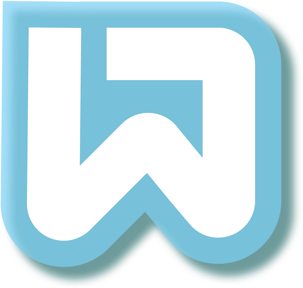 Wrangler: a refactoring tool for Erlang. It is extensible and scriptable, and helps detect clones. Rotor is a refactoring tool for OCaml, described in these slides. PLDI 2019 paper coming soon! Marlowe is a DSL for financial contracts on blockchain, described in this paper. I am very grateful to IOHK for their support of this work. Third edition of Haskell: the Craft of Functional Programming My first book, on Type Theory and Functional Programming gives an introduction to Martin-Löf type theory. PDF. Erlang master classes with Joe Armstrong and Francesco Cesarini, part of a project to build MOOCs on Functional Erlang and Concurrent Erlang on FutureLearn. My main research interests are in functional programming, most recently in designing tools to help people to write and test programs more effectively. In particular, together with Huiqing Li and Reuben Rowe I have been working on building refactoring tools for functional programs in Erlang, Haskell, iand, most recently, OCaml, supported by EU and EPSRC funding; I am also looking at refactoring dependently-typed languages with my PhD students. I'm also looking at DSLs running on blockchain, and have designed the Marlowe DSL for financial contracts on Cardano, supported by IOHK, and working with Pablo Lamela and Alex Nemish. Social: blogging at profsjt.blogsopt.co.uk; twitter: @thompson_si; facebook: thompsonsimonjohn. Slides on Functional Programming for Third Generation Blockchain presented at Copenhagen FinTech Lab, April 2019. Refactoring reflected, keynote talk from TFP 2018 slides The team at Kent have built tools for refactoring programs in Haskell, Erlang and, most recently, OCaml. This talk will reflect on what we have learned in the process about tool building and refactoring for functional languages – and about the languages themselves – drawing examples from past and current work. Paper on A General Method for Defining Objects by Recursion over Syntax from David Turner's Festschrift in Journal of Universal Computer Science. Slides from my presentation on Practical Analyses for Refactoring Tools at Designing Code Analysis Frameworks 2016. Featured reviewer in Computing Reviews, March 2016. Slides from a webinar on Learning Functional Programming, July 2018. Making It Lazy: never evaluate anything more than once, from CODE BEAM slides, repo. Put some more advanced features of Erlang to work by implementing lazy evaluation. First we find a way of being non-strict, so we only evaluate things by need, and then we find a way of memoising the results. We show how to build infinite, graphical and indeed cyclic data structures, using higher-order functions, macros and ETS tables. The pragmatics of clone detection and elimination (slides, video), paper in the <Programming> journal. Paper on Improving the Network Scalability of Erlang from Journal of Parallel and Distributed Computing. Talk from Erlang Factory SF 2015 on Evolving projects to concurrency with Wrangler. With Scott Owens, Hugo Férée and Reuben Rowe we're eighteen months into an EPSRC project on Trustworthy Refactoring. Refactoring is the process of transforming program source code to improve it in some way, without changing what it does. Performing any refactoring in practice comes with the risk that it does indeed change program behaviour. The aim of this project is to establish the feasibility of building trustworthy refactoring tools that guarantee that behaviour is not changed. Our approach in this project will provide different levels of assurance from the strongest case of a fully formal proof that a refactoring can be trusted to work on all programs, given some pre-conditions, to other, more generally applicable guarantees, that a refactoring applied to a particular program does not change the behaviour of that program. In doing this we build on our expertise in building refactoring tools for Erlang and Haskell (Wrangler and HaRe), and in state of the art machine-supported verification. CakeML is a dialect of ML, designed to play a central role in trustworthy software systems. We will also work in collaboration with a leading industrial user of OCaml, Jane Street Capital. I have also worked on three EU projects, each with links to Erlang. 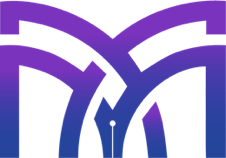 The Prowess project built on the success of ProTest, and extended property-based testing to rapidly-evolving systems such as web services and internet applications. Kent worked on extracting QuickCheck state machine models from tests, as well as refactorings to support building tests. The RELEASE project aimed to port Erlang to massively-multicore systems. Here we developed refactorings to support multicore programs in SD-Erlang, as well as building tools for offline and online monitoring, and a general extension API and scripting DSL for Wrangler. I am also interested in working with industry, and have worked with IOHK on scripting languages for distributed ledgers (paper). I have also had two Knowledge Transfer Partnerships with Erlang Solutions: the first on refactoring and components for Erlang, the second on using e-learning technologies in high-quality online training. Erlang Programming is an introduction to Erlang, co-written with Francesco Cesarini and published by O'Reilly, who have recently launched a video to accompany the book. Miranda: The Craft of Functional Programming is an introductory text on programming in Miranda: available on demand. 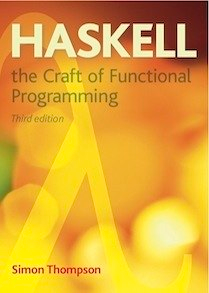 Haskell: The Craft of Functional Programming (Third Edition), an introductory text on programming in Haskell. Type Theory and Functional Programming: an introduction to Martin-Löf-style constructive type theory: PDF. I am currently working with five postgrad students. Pablo Lamela is working on extracting state machine models from tests, and other aspects of property-based testing for Erlang. Stephen Adams is working on data-oriented refactorings for Haskell, including the "monad to applicative" refactoring. Andreas Reuleaux is working on refactorings for dependently-typed languages, and in particular for PiForall. Sam Williams is running Erlang and BEAM on "bare metal", to support research on fault-tolerant operating systems. Here's a recent talk on this from the Erlang User Conference 2017. Joe Harrison is looking at extending static and dynamic tools to support checking communications in Erlang. functional software engineering in general, including tooling support. The School's website has lots of stuff about becoming a postgrad student and some suggested projects in my and related areas of interest. Current students are working on refactoring Haskell and dependently-typed languages, implementing Erlang and property-based testing and modelling. I work to promote the use of functional programming in education. I was chair of the conference on Trends in Functional Programming in Education, 2017, and chair of Functional and Declarative Programming in Education in 2005 (Tallin), 2002 (Pittsburgh) and 1999 (Paris). I have written texts on introductory functional programming in Haskell and Miranda as well as a problem solving approach for beginning functional programmers. 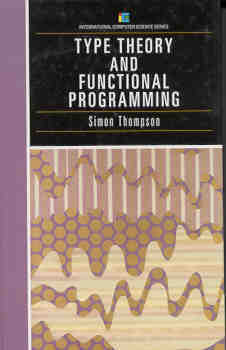 I was book reviews editor for the Journal of Functional Programming for more than 20 years. I am an enthusiastic user of the ProfCast software for recording lectures in sync with their slide presentations. 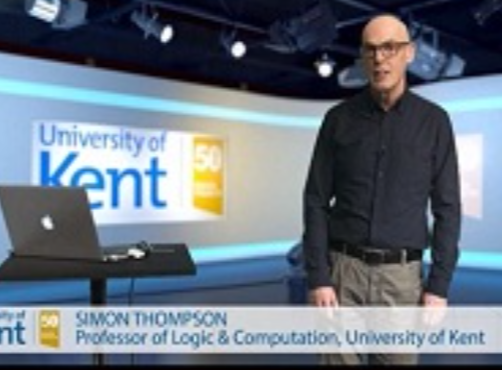 You can see examples at CO524, an introductory course on programming language technology. If you are trying these out, it's best to ignore the first; I was just getting used to the microphone on my PowerBook. A student from the course says "I'm finding during revision that the recordings are immensely useful, if I come across a topic that isn't well explained in the slides or my notes it's great to be able to listen back to your explanations with the slides on screen and write new notes for revision purposes." Safe Concurrency Introduction through Slicing (with Huiqing Li) from PEPM 2015. Evolving your projects with Wrangler: talk from the Erlang User Conference 2014, slides video. Let's make refactoring tools user-extensible! presentation at Fun in the Afternoon, Brighton, November 2012 (extended version of a talk presented at the Fifth Workshop on Refactoring Tools, 2012). DIY Refactoring with Wrangler: a presentation at the Erlang User Conference, Stockholm, 2011. Refactoring Functional Programs: Presentation at Galois Inc, Portland, 2010. Improving your test code with Wrangler, presented at the Erlang User Cconference 2009: slides, draft paper. Video and slides of a recent presentation on Wrangler, at the Erlang eXchange in London. A presentation on Refactoring Functional Programs at the first international Workshop on Refactoring Tools, Berlin, July 2007. A talk on Refactoring Erlang Programs at EUC 2006, November 2006. A course on Refactoring Functional Programs at the 5th International Summer School on Advanced Functional Programming in Tartu, August 2004. An invited presentation on Refactoring Functional Programs from the VII Brazilian Symposium on Programming Languages, May 2003. A slide deck on Haskell for Erlangers. Overview of the PROWESS project talk from the Erlang User Conference, June 2015. Overview of the RELEASE project talk from the Erlang User Conference, June 2014. 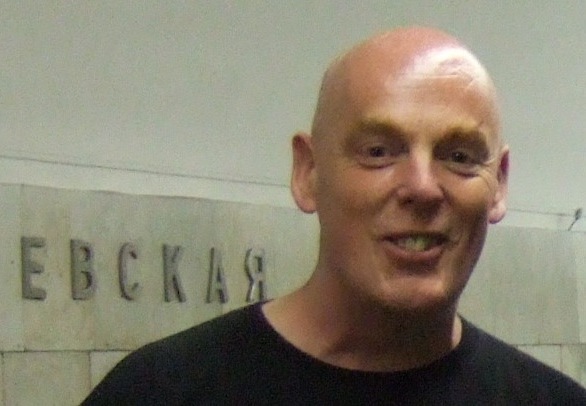 Refactoring Functional Programs: past and future Talk from CodeMesh 2013. Building Trustworthy Refactoring Tools Invited talk from VPT 2013. Presentation on Percept2 (slides) at the Erlang Factory Lite, London, November 2012. Workshop on Turing's Legacy at the British Mathematical Colloquium, Canterbury, April 2012. InfoQ interview with Huiqing and Simon on refactoring for Erlang and Haskell. Recent (January 2010) papers from PADL and PEPM about clone detection in Erlang and Haskell. A paper on Testing-framework-aware Refactoring from the 3rd Workshop on Refactoring Tools, Orlando, October 2009. Recent YouTube interview with me on the OReillyGMT channel. A paper on Declarative extensions of XML languages presented at DocEng 2007. A talk on The expressiveness of spider diagrams, based on a JLC paper. Computer Algebra and Reasoning: Atypical. Functional Programming and Software Engineering. Verification of functional programs: pdf; bib. Functional programming and Martin-Löf type theory. What do I do when I am not working? I enjoy cooking, cycling and jogging (I used to call it running). I rode the London 100 in 2016, with a ride time of 6:30. Most of all I enjoy walking, and, for example, have walked the Stevenson trail and in the Harz mountains.